2014 was a harrowing year. The death toll in Syria reached 200,000 as the country’s civil war continued to inspire perpetrators on all sides to commit new and appalling sectarian atrocities. Meanwhile swathes of north-eastern Nigeria, covering territory the size of Belgium and home to millions of people, were rendered ungovernable as Boko Haram razed villages and conducted mass killings. We can add to this gloomy list of situations that deteriorated last year: Central African Republic, Iraq, Sudan, South Sudan and Libya. Ten years later the UN Security Council, at the apex of the creaking and weary United Nations system, is still a twentieth century institution trying to solve twenty-first century problems. For example, the Council’s response to the crisis in the Central African Republic after December 2013 was tardy, in part, because of many wasted weeks where some permanent members of the Council privately argued that the former colony was France’s problem, despite the fact that the country has been independent since August 1960. Syria, meanwhile, exposed a more fundamental debility in the Security Council, namely the historic anachronism of five permanent members who can still veto any attempt by the international community to stop mass atrocity crimes if doing so does not accord with their perceived partisan interests. These are symptoms of the UN’s political ailments and structural deficiencies as it confronts conflict in our world. But given the horrors of 2014 and the fact that 2015 marks ten years since R2P was adopted at the UN World Summit, it seems fitting to ask ourselves what we have learnt about how to prevent mass atrocities. Do we know more now than we did ten years ago about methods and measures that undermine the politics of the machete, the mass grave and the death squad? Or to paraphrase the former Chinese leader Deng Xiaoping in a very different context, are we are still trying to cross the river by feeling the stones underfoot? We now have virtually universal acceptance of the abstract concept that all states have a responsibility to protect their populations from genocide, war crimes, ethnic cleansing and crimes against humanity. No UN member state today would boldly proclaim that massacres perpetrated behind sovereign borders are simply a government prerogative. No government challenges the argument that the international community has an obligation to assist a state if it is struggling to protect its people. And no government argues that when faced with atrocities systematically perpetrated by a state, or by a non-state armed group, that the international community should not protect the vulnerable and punish the perpetrators. In this sense, we have won the battle of ideas. Only a fringe group of governments is firmly opposed to an international role in protection from atrocity crimes regardless of circumstances. Some of these are themselves responsible for atrocity crimes. Others will interpret anything as part of an imperialist conspiracy by the great powers… The concerns of these actors cannot and do not need to be met. Those dismayed by NATO’s “mission creep” while protecting civilians in Libya, or alternatively, by the bitter failure of the UN Security Council to stem the bloodletting in Syria, may well retort that the test of R2P must be in practice rather than principle. In the five years prior to the beginning of the Libya intervention in March 2011, the Security Council had passed only four resolutions that referenced R2P – two were thematic resolutions on the protection of civilians, the other two concerned crises in the Democratic Republic of the Congo and Darfur, Sudan. By contrast, in the four years following Resolution 1973, the Security Council passed 25 resolutions that directly referenced R2P. Five of these were thematic (including one on the prevention of genocide, passed during the twentieth anniversary of the Rwandan genocide), but others confronted the threat of mass atrocities in Cote d’Ivoire, Yemen, Mali, Sudan, South Sudan and Central African Republic. The Council authorized peacekeepers and/or imposed a range of practical measures to help prevent or halt atrocities. Some actions were more successful than others, but that is the nature of praxis. Although some media commentators portrayed the inability of the Security Council to agree about Syria to be the result of the alleged misuse of R2P in Libya during 2011, Russian and Chinese hostility to action aimed at constraining the Syrian government is linked to a deeper strategic clash between the P2 (Russia and China) and the P3 (United States, United Kingdom and France). Despite this, the Security Council continued to collaborate, invoking R2P more often than ever before (including in two resolutions on humanitarian access in Syria during 2014), when and where the strategic interests of the permanent members did not directly collide. We still have to guard against the political misuse and operational abuse of R2P. But the only real debate at the UN these days is about when and how individual states and the international community should uphold their responsibilities and implement appropriate measures to prevent or halt atrocities. If nothing else, this represents real and substantive progress since the resolute indifference exhibited, for example, during Rwanda’s genocide two decades earlier. At the core of R2P is a responsibility to engage and to invest in institutional preparedness. In 2008 in Kenya, for example, a disputed election resulted in ethnic violence that killed over a thousand people and displaced over 600,000. During elections in 2013, however, there was no widespread killing, endemic hate speech or systematic ethnic targeting. In between were five years of local, national, regional and international investment in both structural and proximate prevention. These preventive measures covered everything from constitutional change to security sector reform and local civil society peacebuilding initiatives. The lessons from Kenya are too many to be elucidated here, but their relevance certainly extends beyond East Africa. We are also beginning to better understand the entangled relationship between poverty, underdevelopment and the risk factors that can lead to mass atrocities. Using the post-2015 Sustainable Development Goals, over the next decade we need to better utilise development tools to help ameliorate conflicts where identity politics, social marginalisation, economic inequality and resource disputes threaten fragile societies. Additionally, since 2005 we have seen the steady development of networks and structures for mass atrocity prevention. For example, the UN’s Human Rights Council (HRC), with its Special Procedures and Universal Periodic Review, can help us gauge how states are strengthening human rights domestically, and what this means in terms of their institutional resilience to the threat of mass atrocities. The HRC will always be more of a smoke detector than a fire extinguisher when it comes to mass atrocities, but it is an indispensable part of the global early warning system, as is the UN Office of the Special Advisors for the Prevention of Genocide and the Responsibility to Protect and their mass atrocity risk framework. From the United States’ Atrocity Prevention Board to the National Peace Council of Ghana, states are getting better at consolidating domestic structures. Across regions and continents we have also seen the development of state-led communities of commitment, most notably the Global Network of R2P Focal Points, which now encompasses almost fifty diverse states (roughly a quarter of the total UN membership) from the Democratic Republic of the Congo and Cote d’Ivoire, to Guatemala, Denmark and New Zealand. An R2P Focal Point is a senior government representative commissioned to strengthen domestic commitment to mass atrocity prevention. The Global Network of R2P Focal Points has had high-level endorsement from the UN Secretary-General and should be supported by any government that is serious about preventing atrocities and promoting human rights. Where we fail to prevent mass atrocities from occurring, we need to improve our ability to expeditiously respond. This year is the twentieth anniversary of the Srebrenica genocide where UN peacekeepers shamefully handed over the Bosnian-Muslim victims to their Serbian executioners. 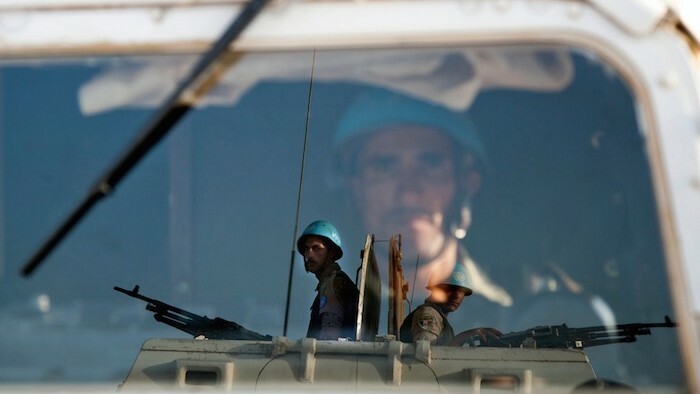 In an era when ten out of sixteen UN peacekeeping missions have protection of civilians mandates, which involve 90 percent of the 122,000 peacekeepers currently on mission, it is wholly appropriate that the UN is conducting a generational review of peace operations. Other initiatives, like the UN Secretary-General’s “Human Rights Up Front” plan, also need consolidation and operationalization across the UN system. In a way that would have been almost inconceivable to the original framers of the UN Charter, peacekeeping and civilian protection are now at the center of conflict stabilization in the world today. But the gap between sublime mandates and operational under-resourcing can still swallow up any well-intentioned mission. We need to expand the number of troop contributing countries, decrease the time between the passing of resolutions and the deployment of forces, improve training and doctrine in mass atrocity response operations, and above all else, ensure that when vulnerable civilians see a blue helmet they are certain that they will be vigorously protected, not abandoned in their most dire moment of need. The sustainability of regional rapid reaction forces also needs to continue to be explored. In the most vexing and deadly cases, where a state is manifestly unwilling to protect its populations and international military intervention under Chapter VII of the UN Charter is deemed necessary, we need to ensure that protective mandates are not manipulated for opportunistic reasons of “regime change.” That is part of the lesson of Libya and a reason why Brazil’s 2012 proposal that there is a “responsibility while protecting” demanded serious attention. One of our goals over the next decade should be to ensure that any time the Security Council mandates the use of force, prudential criteria are seriously taken into account and publicly reckoned with. We need to improve Security Council monitoring and accountability of missions conducted in the name of civilian protection and R2P. However, most future mass atrocity cases that require coercive responses, including military force, will in all likelihood continue to look more like South Sudan or Central African Republic than like Libya. That is to say, they will continue to require complex elements of coercion and consent, with legal authorization of the Security Council and active dialogue about how a state can uphold its responsibility to protect and how the international community can both assist and compel them to do so. Fundamentally, we need a more representative and responsive Security Council to manage the crises of our new century. The failure to protect in Syria casts a dark shadow over consideration of this issue. Mass atrocity crimes are always an affront to universal human rights and pose an intrinsic threat to international peace and security. Committing these crimes, or protecting a state or non-state actor that is committing them, can never be exempted as a matter of “vital national interest.” We call them crimes against humanity precisely because regardless of where the victims are, these crimes diminish us all. They are never justifiable and are always illegal under international law. At the very least the five permanent members of the Security Council (the P5) should accept that they have a responsibility not to veto in any mass atrocity situation and publicly pledge not to do so. The French government’s call for the P5 to reach concord on a “statement of principles” regarding veto restraint in mass atrocity situations has already received high-level support from dozens of UN member states and influential civil society voices such as The Elders, Human Rights Watch and Amnesty International. If all five permanent Security Council members cannot forge an agreement in time for the UN’s 70th anniversary in October this year, then those committed to such principles should proceed anyway. A public stand by one or more of the P5 will increase the political cost of any permanent member deploying a veto in any future mass atrocity situation. Finally, over the next ten years we need to improve our ability to assist states in rebuilding after conflict. We only need to look to Libya to see that a tepid international effort during the rebuilding phase was a contributing factor to the terrorism, lawlessness, corruption and warlordism that have now divided the country in half, created two rival governments and unleashed armed groups that are committing war crimes, creating a humanitarian catastrophe and strangling the country’s future. Our other enduring challenge is to strengthen international justice. Despite some legitimate criticisms regarding previous practice, the International Criminal Court (ICC) is still the most important institutional development in the battle to end impunity for mass atrocity crimes and is, to quote its Chief Prosecutor, Fatou Bensouda, the “legal arm of the responsibility to protect.” Ending impunity for past crimes is one of the most effective tools we have for preventing their recurrence. International justice is contagious and accountability in one country can deter potential perpetrators elsewhere. Of the 193 member states of the United Nations, 123 have already ratified the Rome Statute of the ICC. In the domestic sphere we have also seen a number of Latin American states – including Argentina, Brazil, Chile and Guatemala – deal with the difficult legal and political legacy of grave human rights abuses committed during times of military dictatorship. In the best cases, the pursuit of truth and reconciliation regarding the past has enhanced both peace and justice. The attempt has not been without setbacks, but there is no doubt that similar attempts to confront impunity in South Sudan, Sri Lanka or Central African Republic, for example, could play a crucial role in ameliorating the underlying causes of conflict and help prevent future atrocities. This year also marks forty years since the beginning of the Khmer Rouge’s murderous rule in Cambodia and the one hundredth anniversary of the genocide against the Armenians. On both the judicial and political fronts, Cambodia continues to struggle with the legacy of Khmer Rouge atrocities, but Prime Minister Hun Sen recently publicly reaffirmed Cambodia’s commitment to R2P and to advancing accession to the Rome Statute throughout southeast Asia. Genocide denialism in Turkey, by contrast, inhibits Istanbul’s ability to meaningfully engage with twenty-first century debates about mass atrocity prevention. Turkey is not a state’s party to the ICC and Article 301 of its criminal code still criminalizes recognition of crimes against humanity committed in 1915 under the Ottoman Empire. Lessons learned from history and from rebuilding after atrocities will continue to inform our understanding of how to uphold R2P in the present. Whether in post-war Germany or post-apartheid South Africa, we have seen that a vibrant civil society, working alongside government, is essential to strengthening sovereignty, promoting human rights and protecting against the recurrence of abuses. The Responsibility to Protect, like all international norms, has no independent volition or agency of its own. R2P will not succeed because of its intellectual purity nor fail because of blemishes in its academic design. R2P will only ever be as consistent and effective as policymakers and practitioners make it. From Syria to Nigeria, those who commit mass atrocities would like nothing better than a return to the world of unrestricted indifference, inaction and impunity. Unfortunately for them, as UN Deputy Secretary-General Jan Eliasson has said, “R2P is here to stay.” Not because it is a cute abbreviation or affectation, but because it remains the most effective and broadly accepted political tool we have to prevent and protect. The UN High Commissioner for Human Rights, Zeid Ra’ad Al Hussein, recently argued that: “All the fights worth fighting involve long-term struggles… The fights against apartheid, slavery, and colonialism have been fought over the long term, with battles both won and lost.” Our collective attempts to advance R2P and strengthen international justice will also be decades long. There will continue to be disappointments and incongruities, but the arc of history is bending in our direction. Dr. Simon Adams is Executive Director of the Global Centre for the Responsibility to Protect. He is the author of four books and numerous academic articles with a focus on international conflict.